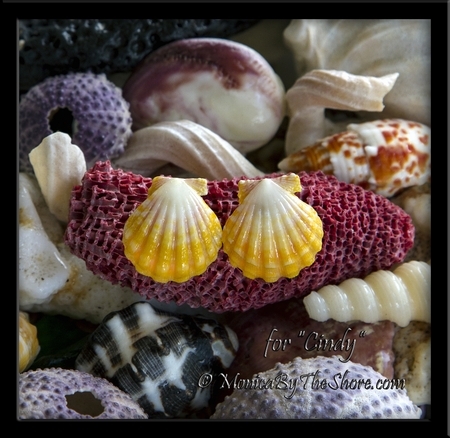 Custom for "Cindy" in Waikiki, bright yellow Hawaiian Sunrise Shells sterling silver post earrings. Wear them to work, on the beach, in the ocean surf or out on the town, and prepare for lots of attention with this rare seashell jewelry from the heart of Hawaii! A MonicaByTheShore original rare Hawaiian Sunrise Shell jewelry design, hand crafted with lots of warm Aloha on the North Shore of Oahu in Haleiwa, Hawaii.